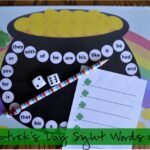 I’m always on the lookout for fun ways for my daughter to practice her sight words. One afternoon I was standing at my kitchen counter making a salad for lunch and I poured out the remainder of my Feta cheese from the container onto my salad. At first I was sad because the container was now empty and I love my cheese (haha!) but then I realized the nifty Feta cheese container was the perfect little shape for something incredible. 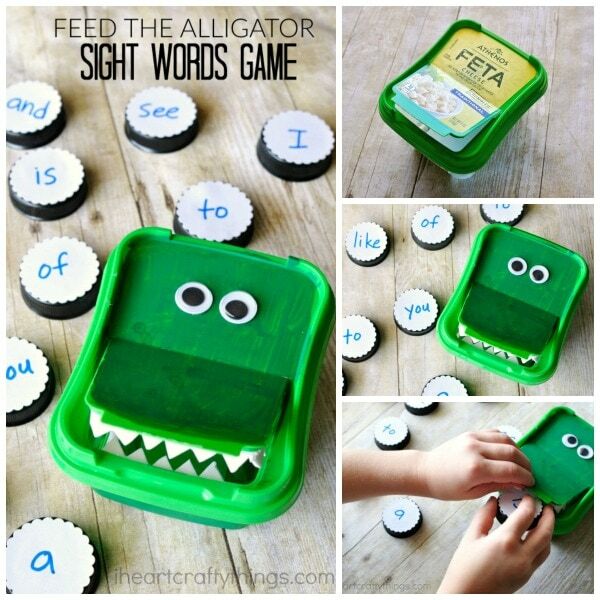 I turned my frown upside down and created this fun Feed the Alligator Sight Words Game. 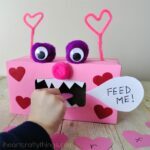 It’s similar to our Mr. Shark Alphabet Chomper Game so if your kids loves this game, make sure to check that one out too. 1. Start by painting the outside your empty ATHENOS Feta cheese with your green acrylic paint. You might need to do two coats. We had a bit of the label showing through ours after it was dry but you could hardly notice. 2. After your paint is dry, cut out a row of top teeth from your white foam sheet and a small row of bottom teeth from your white foam sheet. Use your hot glue gun to glue them on the inside lip of the Feta cheese container lid. 3. 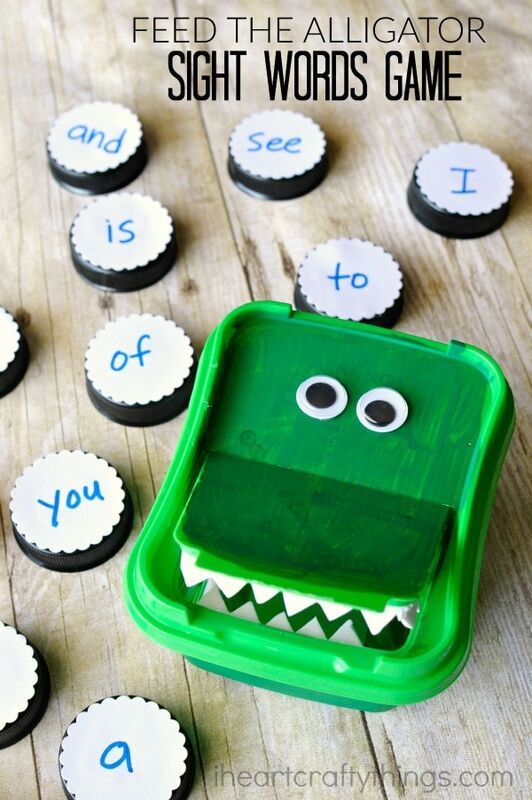 Finish your alligator by gluing on googly eyes. 4. 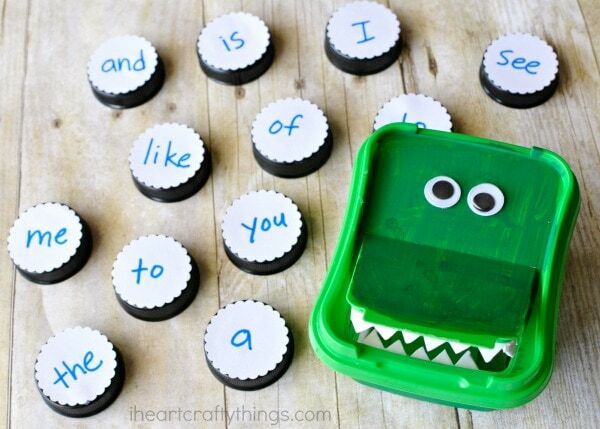 Cut out white circles, write sight words on them and glue them onto your bottle cap lids. If you use a lighter colored lid, you can skip this part and simply write the sight words directly onto the bottle caps. Lay out your alligator and the sight words around it. Say to your child “The alligator is hungry for the word ____” and recite one of the sight words. 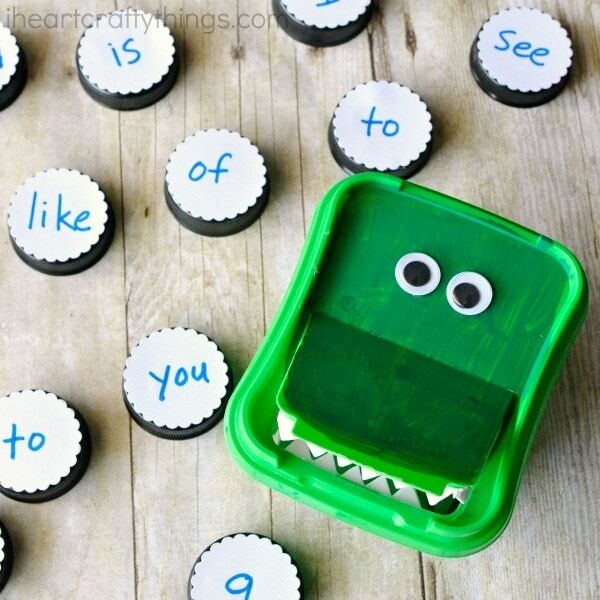 Now your child can look at the words, find the correct word and then feed it to the alligator. Easy, peasy and so much fun! Continue reciting the sight words until the alligator has eaten all of them. 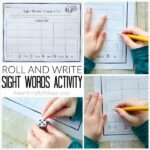 If your child isn’t quite ready for sight words, you can use this activity for working on the letters of the alphabet. You could also use the activity to work on CVC words for preschoolers or kindergartners. I love how you can customize it in so many different ways. 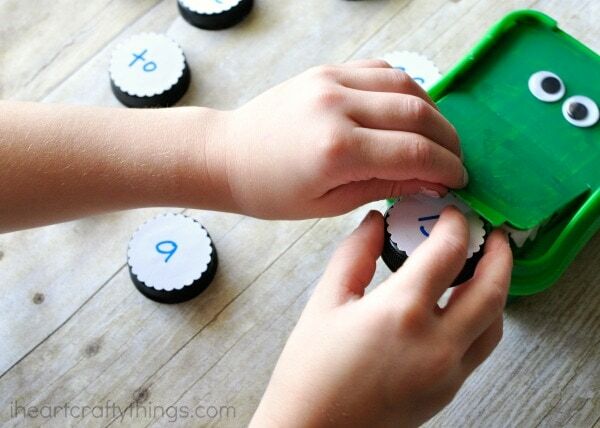 The container is also perfect for storing the sight words too. I simply put them all into the alligator and place it in a sandwich bag. Just for reference, we used 12 bottle caps. Another amazingly creative idea I can use in speech-language therapy! My students are going to love this!! I love this idea. I have a Cascade Pods container that will work perfectly for this activity.